And Now I notice that Word Press has made some changes to the formatting of blog posts. Hmmmm… I really do not have time this morning to figure this out! LOL!!! This post is going to look a little wonky I am afraid but that can’t be helped. Please bear with me while I figure out the new changes! LOL! Happy Sunday All! My crafty mojo has been on vacation this past week and I haven’t been in my craft room in ages! 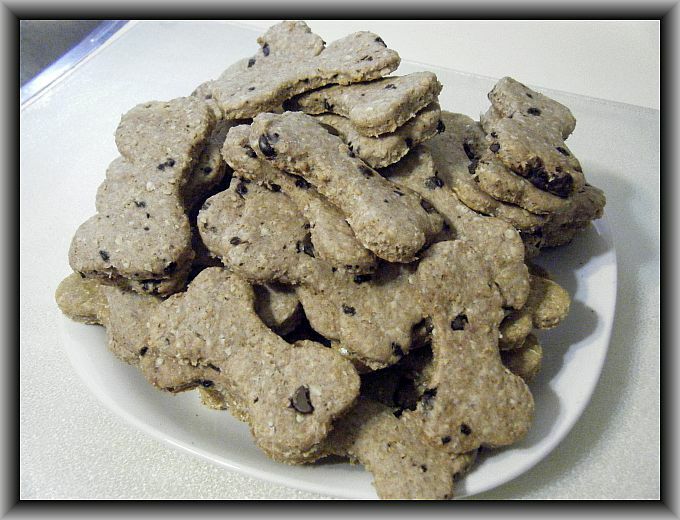 I decided to get busy in the kitchen today making some of Sasha and Lacy’s favorite treats! I rolled out the dough and used a bone shaped cookie cutter and baked them at 350 for about 20 minutes. They are sitting out on the counter for a few hours before I package them up so they get nice and hard. The dogs go crazy for them!!! All I have to say is…. TGIF! Whoa it has been a busy week for me. I haven’t spent ANY time this week in my craft room, it’s just been work work work! I am really looking forward to kicking back for two days and relaxing! 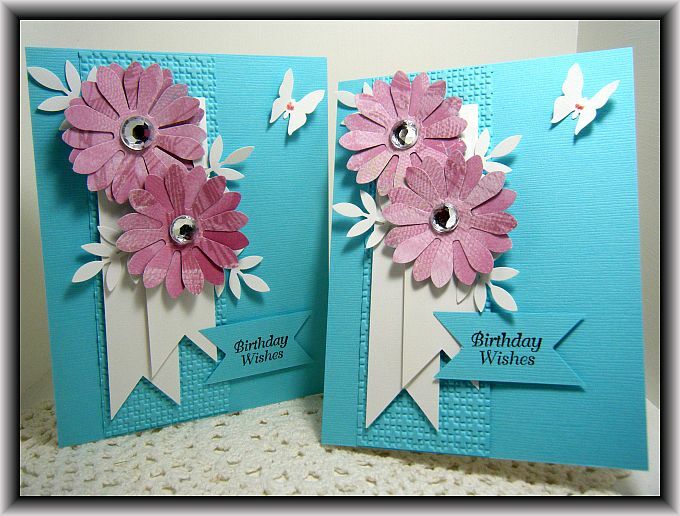 I have a simple little all occasion card to share with you that I made last week…. This is a really quick post as I am busy getting ready for work. Don’t you just love the hand made flower that the lovely and talented Ms. Lauren showed me how to make? 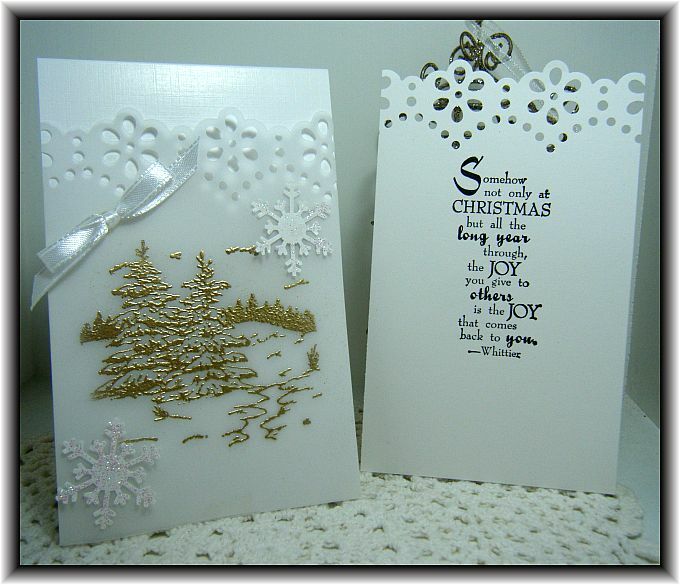 Check out her blog… she has a lovely tutorial on there to show you how to make these. These are my favorite flowers to make, so quick and easy!!! Good Morning! I haven’t been doing much crafting lately… I have been busy with other things but I am sure I will get back to it soon enough. I have a Christmas card to share with you this morning. 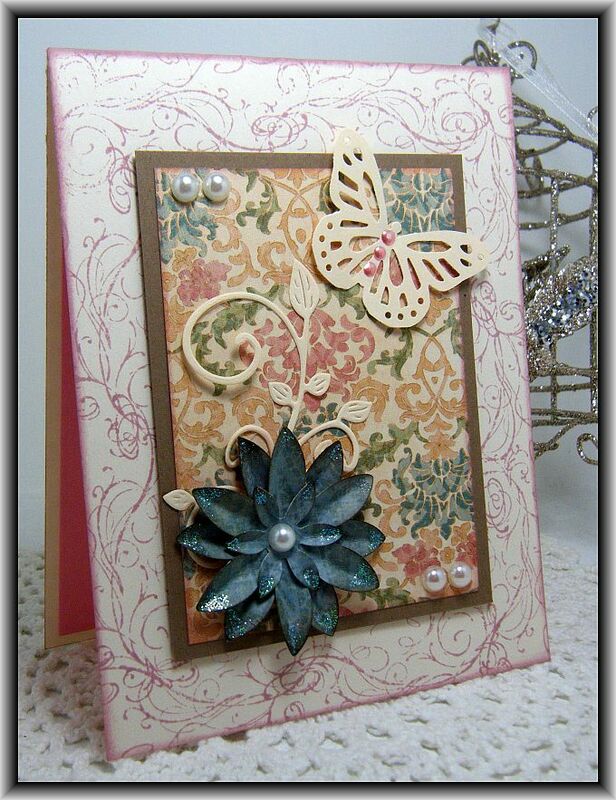 It is simple but quite pretty and another easy to mail pintrest inspired creation…. This is a quick post as I am off to work again today! I hope everyone has a great day and thanks for stopping by! 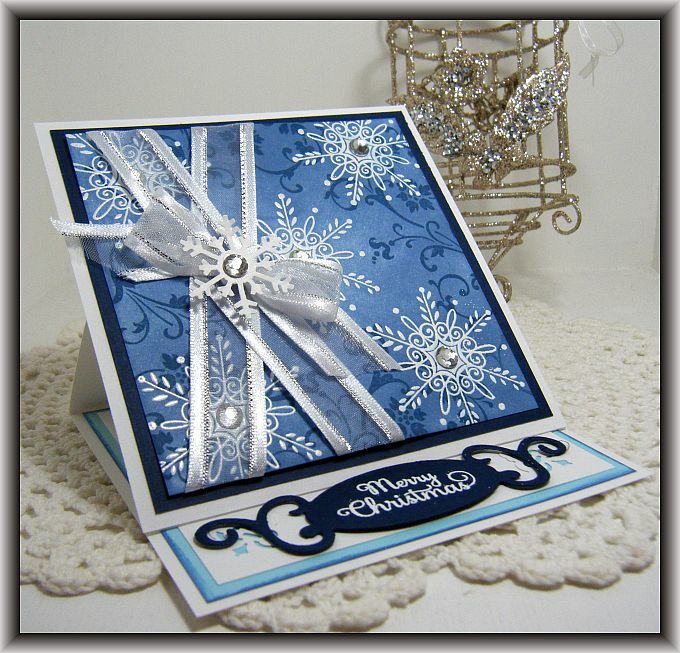 For some reason, when I think about making Christmas cards… I mostly want to do blue ones? I really need to work on some other colors as well. Oh well, I’m sure I will figure out something to do with red and green. Hello Again, Yes this is my second post of the day. 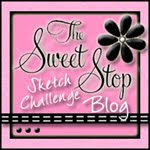 In truth, I have a line up of about 20 different cards to post but I have been a lazy blogger LOL!!! I am aways trying to come up with something different… it’s not always easy for me I’m afraid. I have a ton of velum (is that spelled right?) *shrug* anyway… My friend Karyn gave me a bunch of left over velum she had from her wedding invitations and I thought I would put some of it to good use…. 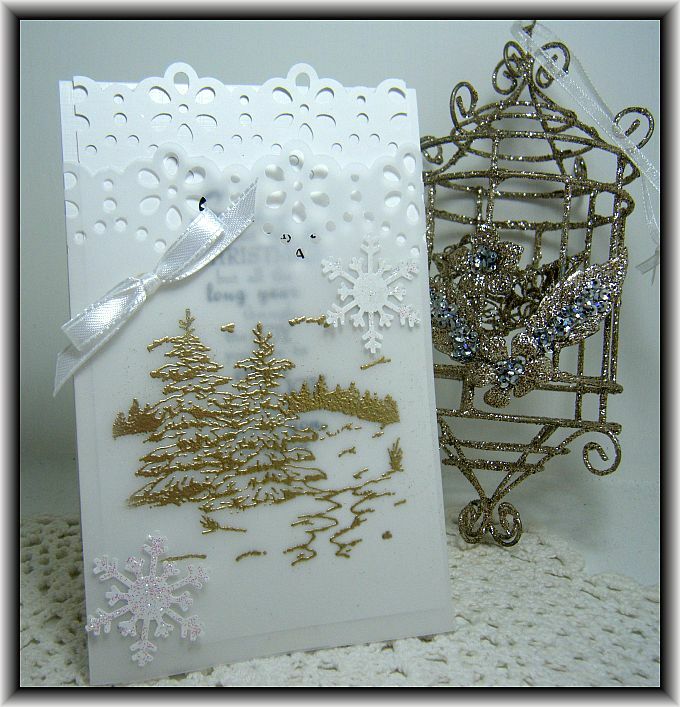 I heat embossed the scenery using gold embossing powder on the velum which I made into a pocket on the front of the card. I made an insert that slides down behind the velum. Easy enough right? 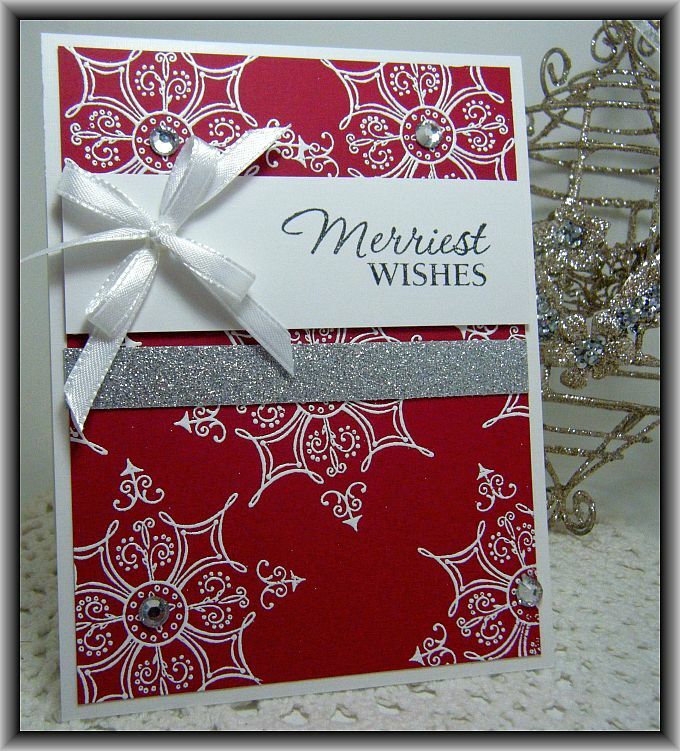 It turned out quite pretty and it is a good switch up from a regular tent card. I hope you like it, I think I will make a few more of them… it was a fun project. I love the colors! 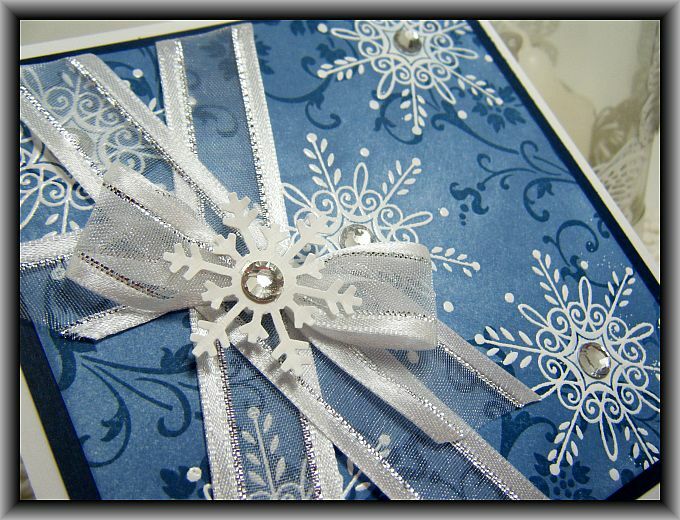 Very cheerful and I am always happy to use my flower punches when ever I can. I hope you all are having a nice day and I hope you find some time this weekend to get crafty!